888 Poker is 888’s special Poker room – a mobile casino app that specializes in just that: playing your favorite cards game. The app let’s you play poker for real money, or for free. 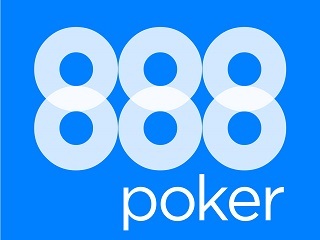 We tested 888 Poker on our iPhone, Android and iPad, and all version seem to be working fine. Loading time is smooth, especially with a WiFi connection ofcourse, but 3G and 4G seem to do the job as well. Eventhough a lot of online casino allow you to play poker, not all of them really focus on the game. We are very happy to see casino’s like 888 (and Unibet as well) to really try to see poker players apart from the general casino players, although there is ofcourse a lot of common ground. A lot of poker players just want to play poker, and not much else. New players are welcomed with a no deposit bonus of $88, € 88 or £88, depending on the country you are from. Reason enough to download this app and play with your free credits. But if that weren’t enough: when you start playing and make your First deposit, you’ll get a welcome bonus up to € 888,- of free money to play with, mind you that’s € 888 free in poker cash, with chances to win real prizes. 888’s app for all platforms, is one of the most satisfying poker apps out there at the moment. With lots of differnt versions of the card game, like Texas Hold’em, Fast Fold Poker, Tournaments and Sit and go sessions.